Home / Blog / Articles / Telcos: analog dollars or digital pennies? Telcos build business around variations of fixed term and fixed price contracts: we know the score – we buy “family and friends” or “all the data you can eat” or “triple play comms, data and media” packages. This model kind of works for both customers and communication service providers (CSP) - but that is changing. Think of it in terms of a switch from analog dollars to digital pennies. Let me explain. The business logic of a $25 dollar-a-month package is clear. The provider gets a degree of lump sum loyalty and a fairly accurate, if inflexible, pointer to mid-term revenues. This is all positive. But there is a downside. Even when the CSP makes it easy to switch contracts and buy additional services, the model is essentially a hangover from analog business. It’s a lump of money for a lump of service – and the world doesn’t work like that anymore. In a word, digital. The world in which telcos now operate becomes almost infinitely variable – and this means that dollar-based packages limit opportunity and expectation. For customers, the predicted approximate use on which the fixed-price package is based, no longer makes sense. The ways in which we use social media, entertainment and gaming, or geo-location services, are not static. Add the new communications demands associated with the IoT, and the landscape becomes even more complex. Smart homes, workplaces, cars and cities are continually tuning and retuning, with millions of often loosely connected digital events happening concurrently. If the telco can drop the dollar-model and charge by the penny, there are benefits for all: greater potential earnings and profits for the CSP and greater responsiveness and transparency for the customer. For the telco, 120 pennies will always be better than a dollar – unless it takes more than 20 pennies to manage. For this dollar-to-penny shift to happen, the telco needs to embrace fundamental cultural, business and technological changes. At this year’s Mobile World Congress, we are leading with the theme digital by design. We ask what happens when a telco makes digital the framework for their entire business rather than regarding it simply as IT stuff. Think about what digital by design means in terms of this fundamental switch from analog dollars to digital pennies. It means having the mechanisms to track and charge according to real-time usage – but there is a lot more to it than that. It means rethinking relationships with customers, so that services and propositions can be continually refined according to context and opportunity. It means developing and promoting new propositions with unprecedented agility and focus - and this requires a continual stream of actionable market intelligence. It stretches far beyond the traditional frontiers of the telco: the already close relationships between media companies and CSPs become even more intense. At the same time, the ecosystem expands dramatically, with everything from white goods to automotive becoming a routine part of the CSP relationship with the customer thanks to IoT. In the new pennies-not-dollars model, real-time digital intelligence and action are critical in telco operations. Software-driven networks become an essential part of the mix. Quality of customer experience hangs on network performance and in the new world of massive demand-shift, only digitally sliced networks can manage dynamic loads. Put all this together, and we begin to see why digital by design makes sense. Telcos must manage rapid and dynamic changes in customer demand. They need to turn customer intelligence into ever-more compelling product and service propositions. And they need to ensure that network resources can deliver no matter what the load. At MWC 2019, we will explore these themes with use cases and practical workshops. We’ll show how edge computing is emerging as the only viable future model. We’ll explore practical approaches to automation and robotics which are now prerequisites for customer and network management. And we’ll look at how visionary approaches to pricing and billing can help ensure that for forward-thinking telcos, in a 5G landscape, 120 pennies are always worth more than a dollar. Oliver Kleinhenz is in charge of the worldwide Sales, Go-to-Market as well as Business Development of the Telecommunication and Technology Submarkets reporting to the EVP in charge of the Telco, Media and Technology vertical at Atos. 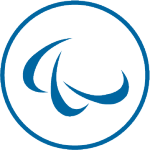 Oliver leads the development of Atos business in new territories as well as growing the business by winning new logos. Oliver has 20 years of experience in the Telecommunication industry and combines a broad technical knowledge with sound business and management skills and experience. During his career he has held a variety of senior positions covering the entire IT services lifecycle from Lead Generation, (Pre-)Sales, Consulting to delivering System Integration and Managed Services. His areas of expertise include Telecom Business Process as well as Product Catalogue Intimacy, O/BSS Solution knowledge, Sales Strategy Development and Execution expertise, Marketing Management, Operational Pre-Sales and Sales Management as well as IT Service Delivery Management.